This stunning 6 bedroom home with suite will simply impress immediately upon entering the enormous entrance foyer. The main floor flaunts a fantastic plan that includes office/bedroom off entrance, beautiful hardwood kitchen with granite counter tops, big living room with n/g fireplace that has custom stone and wood mantel plus lots of little extra details throughout such as in-floor lighting, real imported hardwood, nouvo rustic fixtures and ten foot ceilings. 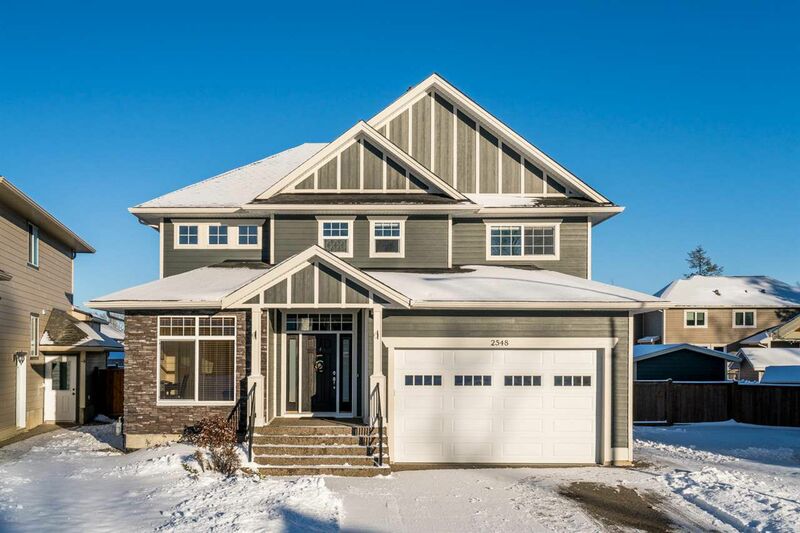 Upstairs boasts huge bedrooms including a master ensuite with "to-die-for" walk in closer and 5 piece ensuite, huge laundry room and a bonus den area that could make a great sitting area or office. The basement features a great 1-2 bedroom legal suite with own entrance and laundry.